Don’t Let Summer End Without Tasting this Pie. Quick, before summer ends. 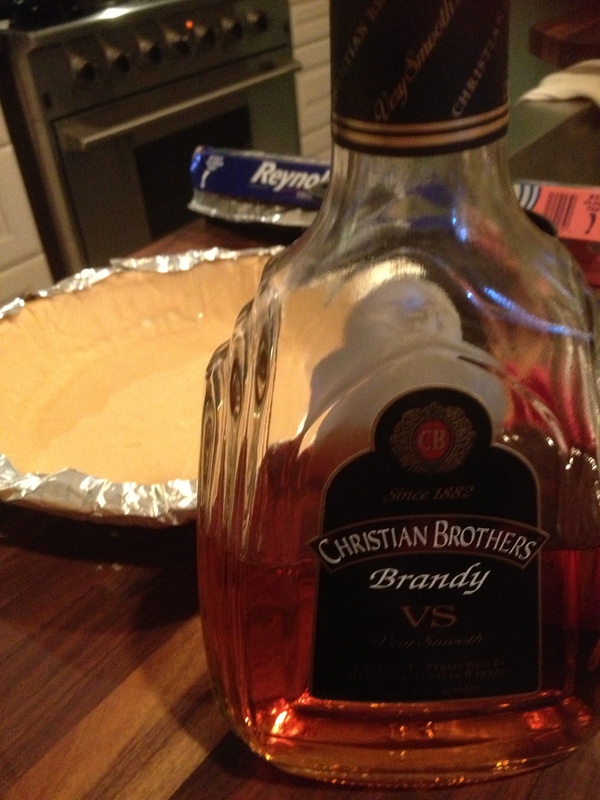 Make this pie. Be your own hero. Daunted much? I was too. 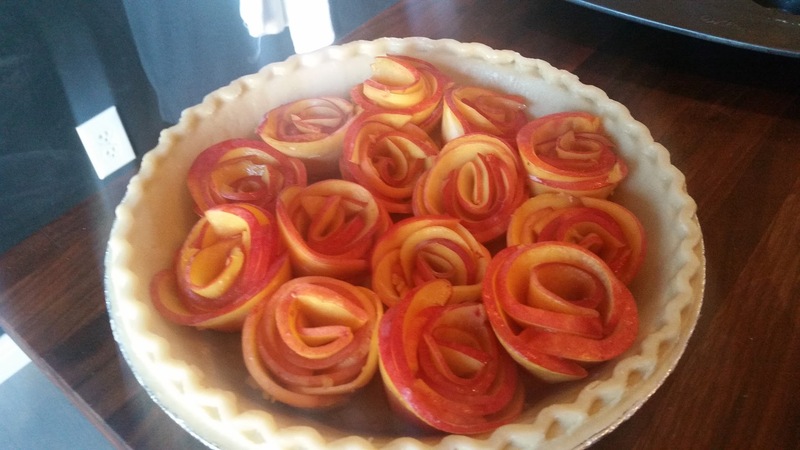 I mean, it’s only the prettiest pie I ever did see. This is not a baking blog. I am not a baker. BUT YOU GUYS THIS PIE. When I grabbed this pie recipe online in a fluke I-feel-like-making-a-pie-moment, it was basically a jump from zero to hero on the first pie I ever attempted. But it was so pretty. Staring at me. I had to make it. A normal, prudent, reasonable non-baker might have also paid attention to the many blogs that cursed the day this pie was invented, calling it “the tart of death”, a “slow descent into madness” and cussing out the G*%D(*$ rosettes as just one more way Martha Stewart helps the rest of us feel inferior. I am not that prudent. And you guys, sometimes imprudence finds the death-defying path. This is such a story. Here is the death-defying way to make the tart of death, and taste LIFE in every sweet amazing summery bite. Step one, according to Martha, can be found here. Step two: Pre-bake the pie crust and let it cool completely. 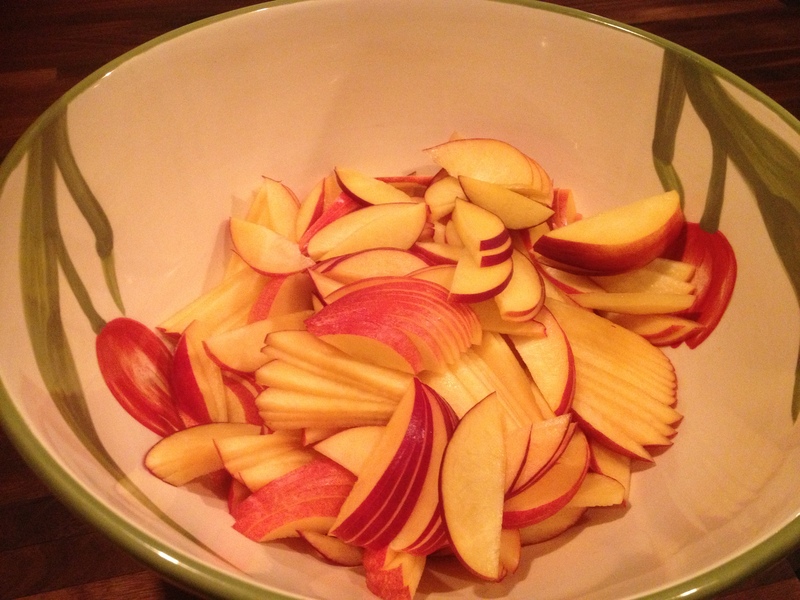 Step three: thinly slice nectarines. As thin as you can. 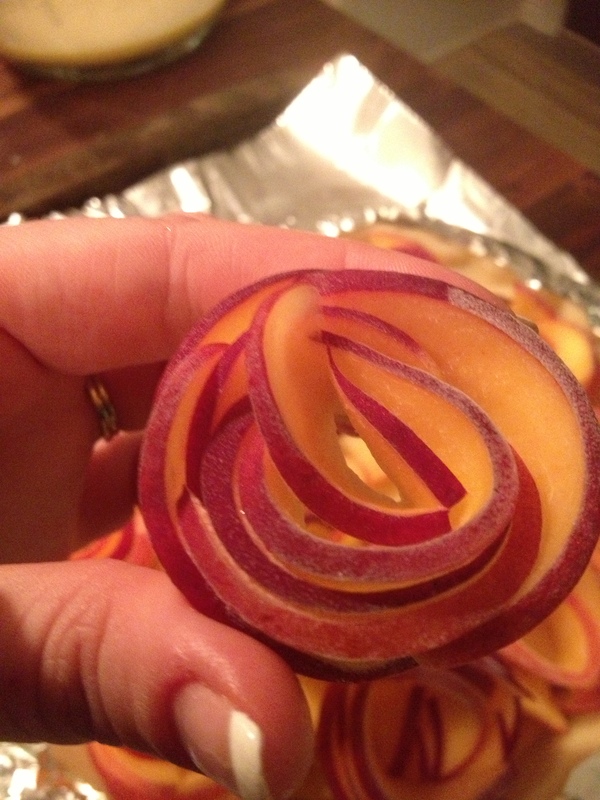 I find slicing to be therapeutic somehow. Seriously, if you ever invite me into your kitchen to cook or bake, assign me the slicing duty. 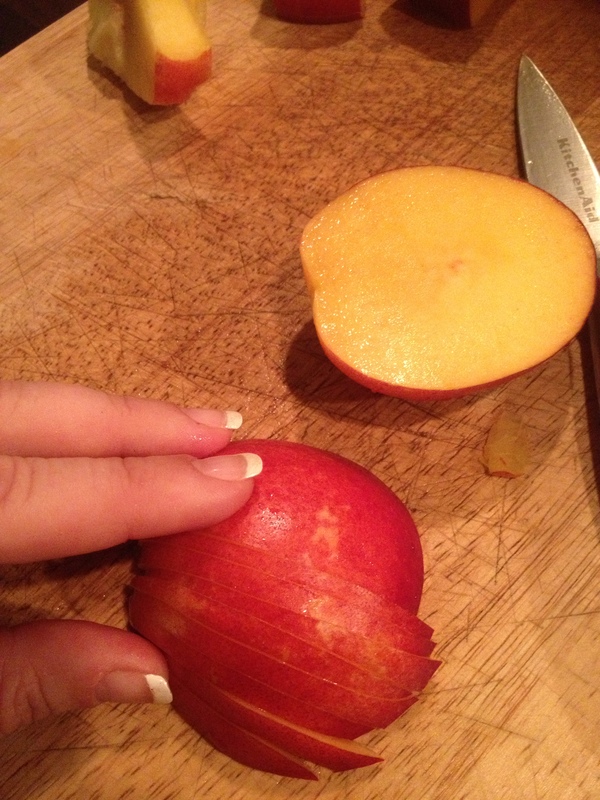 I am treacherously slow at it, but I can slice a mean, thin nectarine. Hint: you need a REALLY sharp knife to get these sweet fruits thinly sliced, especially the more ripe they are (and the thinner/riper they are, the easier time you’ll have in step four). Step four: create rosettes. This is the death part. I mean, really, it’s hell to try and do it Martha’s way. 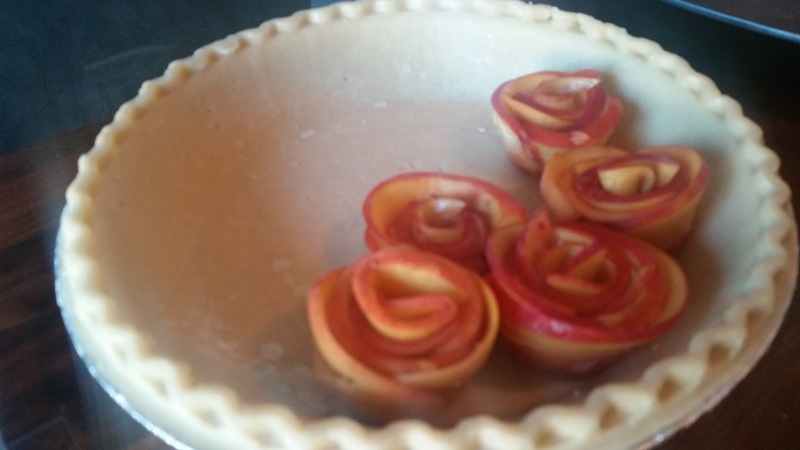 She says to wrap the slices as tight as you can, wrapping from the inner core to the outside until you have a beautiful little rose in your hand. The romantic notion that these slimy nectarine pieces want to cooperate with you and stick to each other in this lovely rose pattern is bull*%&!. I may or may not have realized in this moment that I was way out of my league, and should have paid better attention to the many warnings of those who had gone before me. But then. Then death died. Right there in my slimy, nectarine-covered hands. Right as I was about to give up and throw the whole idea into the trash-can, along with any hope of ever baking anything for the rest of time, a light dawned. Martha ain’t got nothin’ on this. 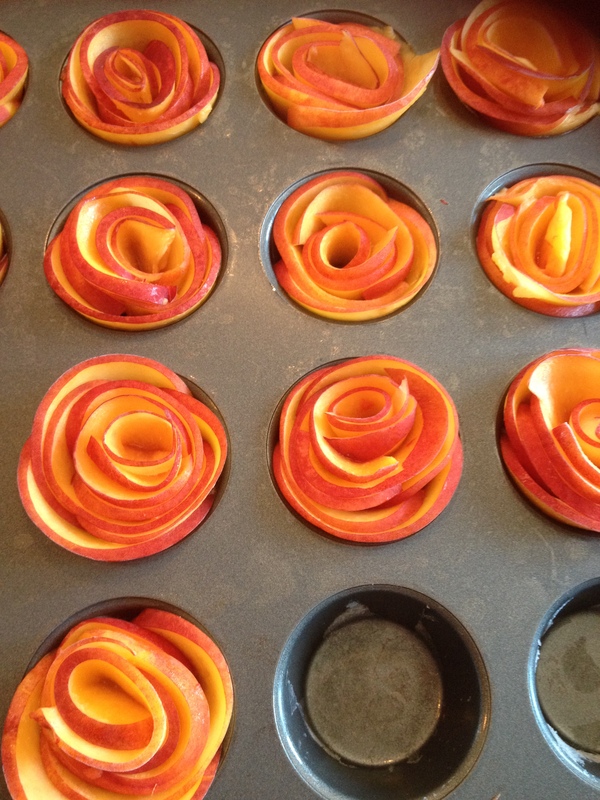 Grab a mini-muffin tin and form the rosettes in there, from the outside-in. Place a slice around the outer edge, and then work your way inwards. I may or may not have starting cackling with glee as my first rosette took shape. 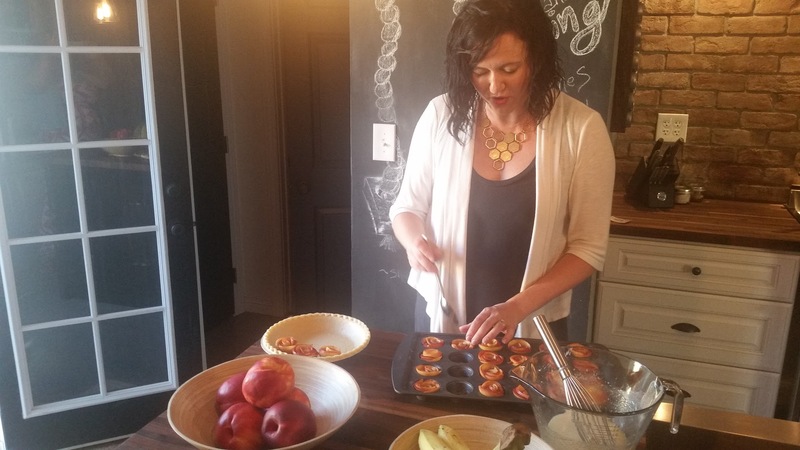 And there I stood, with a mini-muffin pan full of the prettiest nectarine rosettes in the whole Country, and I realized my plan stopped there. The whole transfer-to-the-pie-shell-thing was a different beast. And then I remembered why God invented freezers. Voila, thirty minutes later I had the most beautiful little frozen rosettes, easy to pop out of the tin and into the pie shell. I mean, could baking BE any prettier? 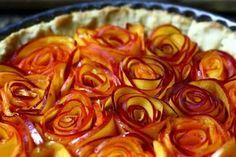 If you want the rosettes to stand a little higher in your pieshell, you can also add a layer of nectarine slices at the bottom. But make sure they look pretty, or else they won’t taste as good. Obvs. The rest of the recipe makes you feel like a rockstar as you brown butter and add brandy. Yes, all the yums. This custard-ish mix gets poured over the top of your beautiful rosettes and fills in the wee cracks and crevices in between. 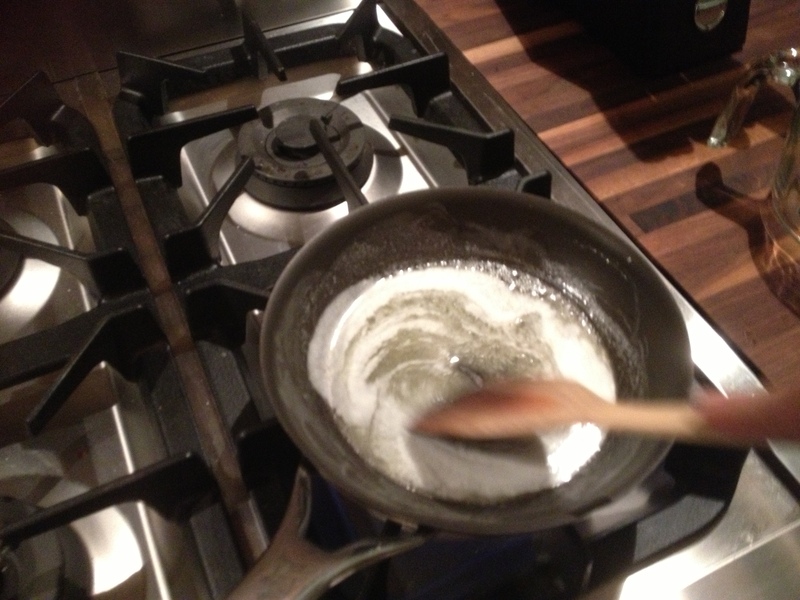 –> Melt butter in small saucepan over medium heat, whisk occasionally until butter solids begin to brown, about 5 mins. Remove from heat, set aside. –> In separate bowl, whisk egg, sugar, lemon juice, Chambord and salt until light in color and double in volume, about 2 minutes. Add flour, salt, and reserved brown butter, whisk until well combined. 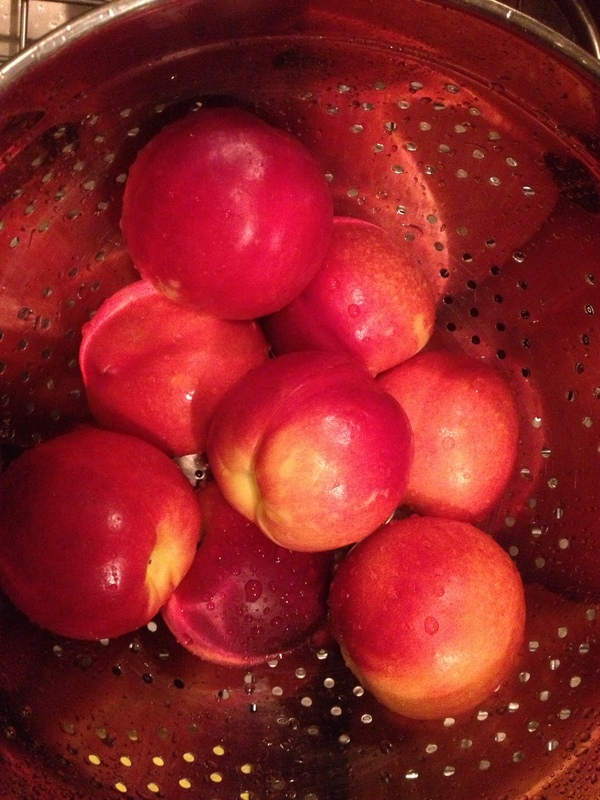 Pour over fruit in the shell, filling in any empty spaces. Bake this sucker at 375 for about 40-50 minutes, basically until the custard looks poofy (technical baker’s term) and You. Will. Have. Conquered. The. World. 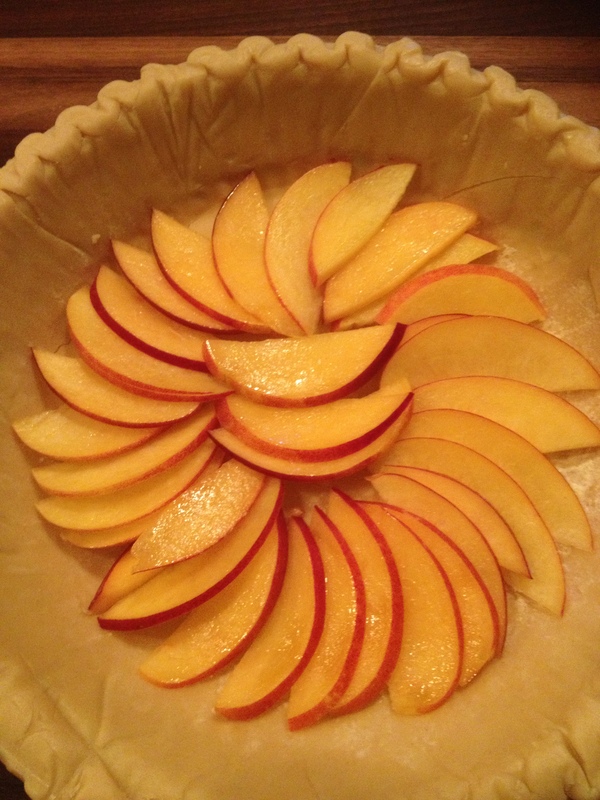 Or at least you’ll feel that way when you pull it out, let it cool, and present the prettiest pie anyone ever did see. Oh and the taste … Summer. It’s summer in a pie. Everything wonderful and fresh and sweet and just the right amount of alcohol. I prefer mine fully cooled, refrigerated. And I may or may not have been known to eat a whole one. Over a few days’ time. Don’t hate. So seriously, go get yourself a taste of summer. And if you need any help slicing, I’m your gal.